The specialist solicitors we have at Legal Expert have been able to whiplash with physiotherapy compensation for clients across the country. 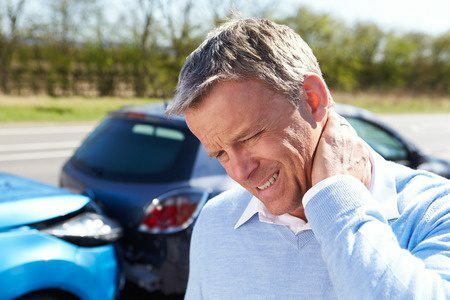 In this whiplash compensation guide, we will look at a particular whiplash claim with physio. The claimant, in this case, was waiting to enter a roundabout when a car approaching from behind failed to sufficiently break and stop in time. The car collided with the rear of the claimants’ car. This caused injuries to the soft tissues of the claimants back and neck. This resulted in a whiplash with physio compensation settlement of £6,440 made up of general and special damages. How Common Are Whiplash Claim With Physio Cases? The UK has been called the whiplash capital of the world and in the past few years, the UK has seen a significant number of whiplash claims. According to data from the Association of British Insurers, there are 1,500 whiplash claims made each day in the UK. This is despite the UK having some of the safest roads in both Europe and the world in general. Claims have risen in the past decade by around half. Whilst the government are trying to crack down on what are often ‘frivolous’ claims cases, they have ensured that genuine claimants are still protected and that they will have access to claiming compensation. As long as you have a genuine whiplash claim with physio and have had a suitable whiplash physiotherapy assessment, you will still be able to make a compensation claim and get the damages you are entitled to. In order to make a successful whiplash with physiotherapy compensation claim against another driver, you need to be able to demonstrate that they were responsible for the accident in some way. This could be by demonstrating that they were negligent, or that they caused the accident deliberately. Once liability for the accident has been established, you can then look at our whiplash payout calculator to find out how much you may be entitled too. In this whiplash compensation case, the insurance provider for the other party (defendant) admitted liability for the accident at an early stage. As such, the case did not need to proceed to court and the case was resolved with an out-of-court settlement (see the average whiplash payout after physio amounts here). The case was relatively simple as the other driver had failed to stop in the correct way and liability for the rear collision accident was not disputable as the claimant was correctly stopped at the roundabout. In this case study, the claimant suffered several soft tissues in his neck and part of the back. The claimant also suffered from some psychological anxiety as a result of the accident and the injuries which they had sustained. The claimant attended a total of sixteen physiotherapy sessions to help treat their car accident injuries. The medical professionals treating both his anxiety and physical symptoms informed the claimant that the physical symptoms would take fifteen months to heal. This was following their physical therapy whiplash protocol and general whiplash physiotherapy treatment guidelines. They were also advised that the psychological symptoms would last for up to a year. The treatment of whiplash injuries is carried out under NICE guidelines for whiplash treatment. If you have suffered a whiplash injury you can find help on how to get through the physical symptoms in this whiplash exercises PDF. In this case, liability was not contested by the defendant or their insurance provider. The settlement was made out of court and consisted of general damages for the injury, as well as special damages covering other financial losses which they have suffered. The general damages awarded were £4,250. Special damages awarded consisted of £1,265.70 which was paid towards financial losses, such as credit hire charges. They were also awarded £900 to pay for the costs of physiotherapy. Finally, £25 was awarded for various miscellaneous expenses. Most whiplash injuries are mild and the associated claims are for relatively small amounts of compensation. The average whiplash payout in 2017 in the UK, according to both guidelines from the UK Government and the Judicial College, is between £2,500 and £3,000. As well as claiming for the actual injuries suffered, victims can also claim for special damages. These are costs which are incurred by the claimant as a direct result of the accident and injuries. Special damages can be made up of travel expenses, costs of hospital visits and parking, loss of earnings or losses of bonuses, costs of any medical treatment, such as the cost of a prescription. You can also claim for special damages for any costs for modifications to your home or car as well as the costs of any care you have had to pay for whilst you are recovering from your treatment. Commonly, whiplash is sustained through car or other vehicle accidents. Any blow or impact which can cause your head and neck to violently jerk back and forwards has the potential to cause a whiplash injury. The sudden force strains, stretches and can even tear the soft tissues and muscles in the neck. If you have had a whiplash injury as a result of another drivers negligence or reckless driving you could be entitled to make a whiplash with physiotherapy compensation claim. At Legal Expert, we can help you make a no win no fee whiplash claim. With no win no fee you won’t have to pay a penny upfront or during your claim. Our costs are recovered as part of the settlement. If you are not successful, you won’t owe a penny. Talk to Legal Expert today to start your whiplash with physiotherapy compensation claim. You can call us 0800 073 8804 to discuss your case. Alternatively, detail your case in an email or use our online chat. How Much Compensation Can You Get For Whiplash? If you have had to take 3 weeks off work with whiplash symptoms, find out more about making a whiplash compensation claim. Do you need physio for whiplash, find out with our guide to whiplash symptoms with Legal Expert. Find out how much compensation for whiplash with physiotherapy 2017 payouts average using our whiplash compensation calculator.